You would not want this dog in your cricket team, or any other sport that involves catching. 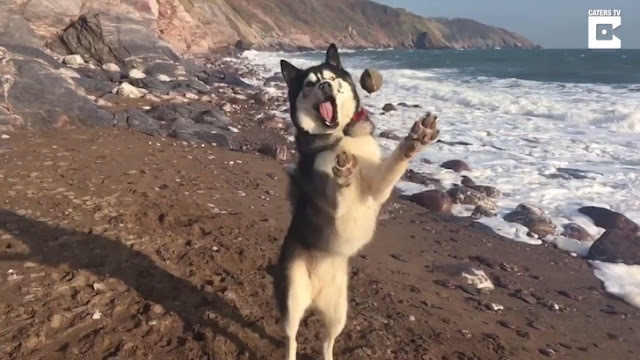 Lovable Husky and Malamute cross, K’eyush does not seem to have inherited the fetch gene and even appears to be clapping his hands in anticipation. 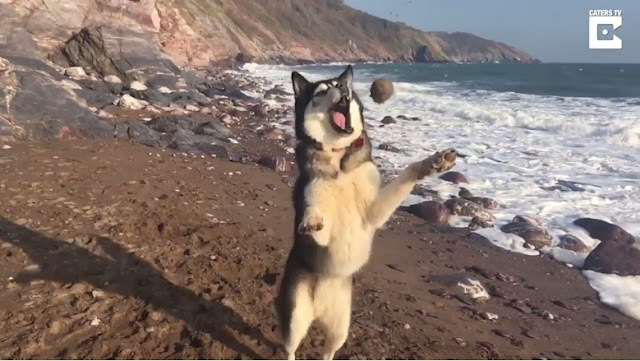 Key’s owner, Jodie Barnard from Brixham, Devon, started snapping her clumsy pooch when she decided his entertaining attempts of fetch had to be shared. 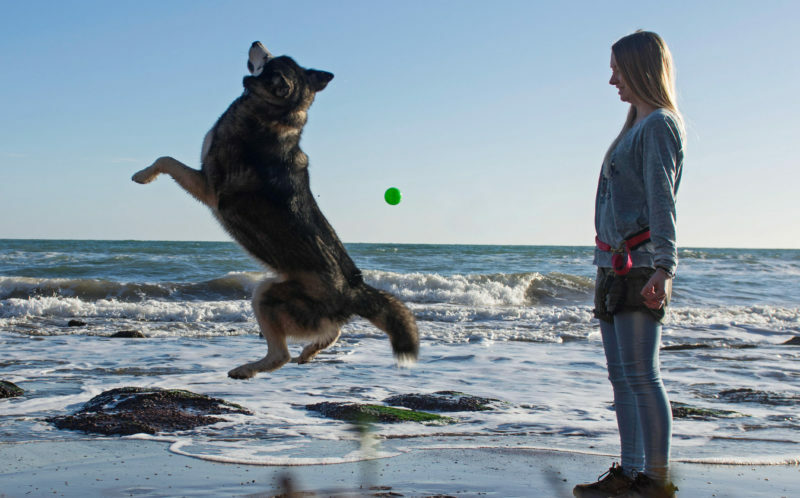 Graphic designer and illustrator, Jodie, 31 said: “He’s always been hit and miss with catch, more miss than hit. “I think he has bad timing, closes his mouth too soon or not soon enough and tries to catch with his paws. Jodie, who runs her own company, Designed by Boo has had Key who turns three-years-old this Spring, since he was just eight-weeks-old. 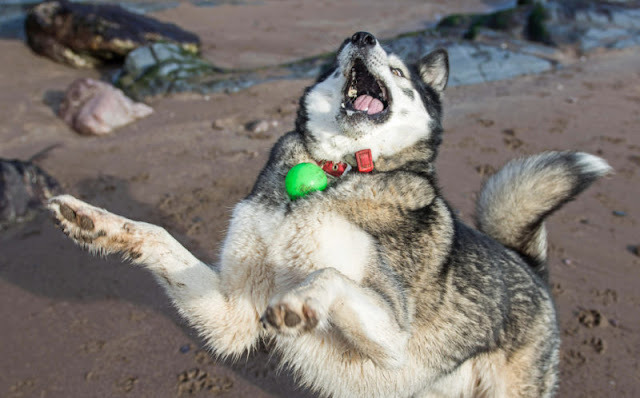 “He does occasionally catch, and looks as surprised as he is smug when he does. 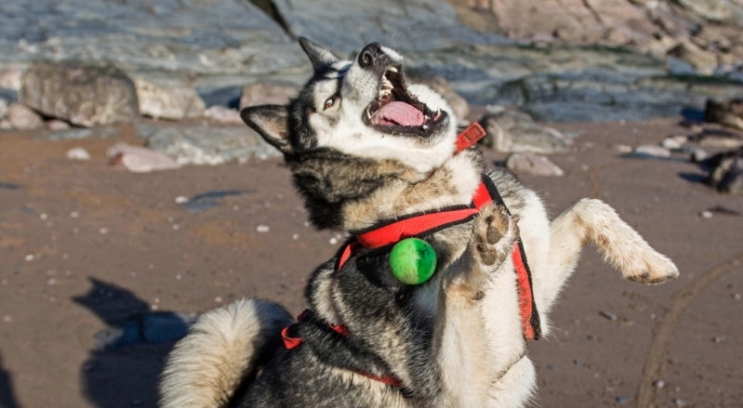 Responses to "Husky hilariously fails at catch and his face in doing so is priceless"